One of the most amazing things about OBU is how many different things one can get involved in. 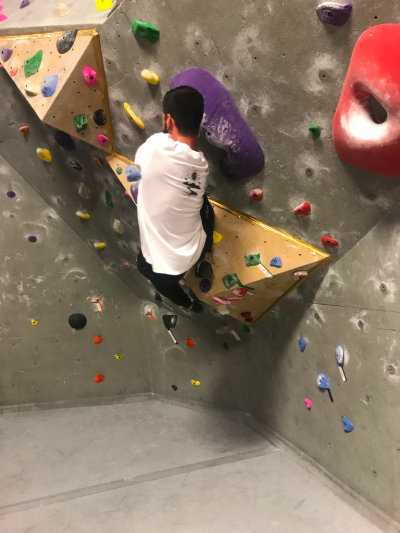 Last year, a couple of guys in my hall worked at the rock wall at the RAWC (Recreation and Wellness Center) and they convinced me to go and rock climb with them. It took a while for me to actually do it, but the day I started I was immediately hooked. 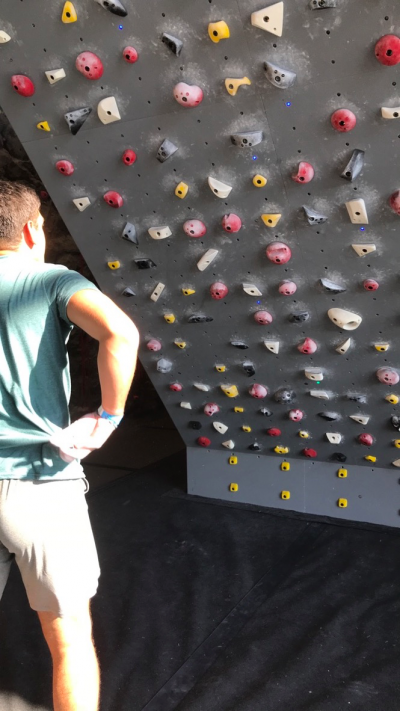 I regret not having started rock climbing at a much younger age. 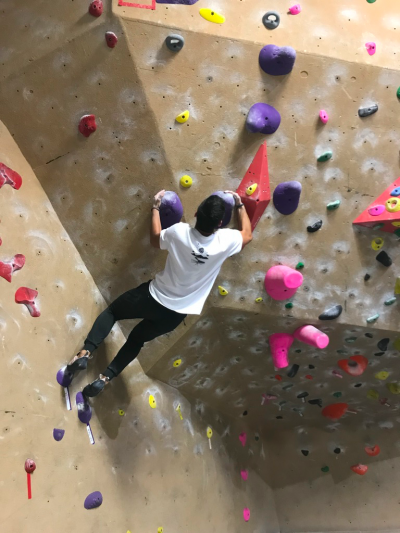 At first, I was scared to try rock climbing because I didn’t think I’d be strong enough and I didn’t want to look bad in front of my friends. 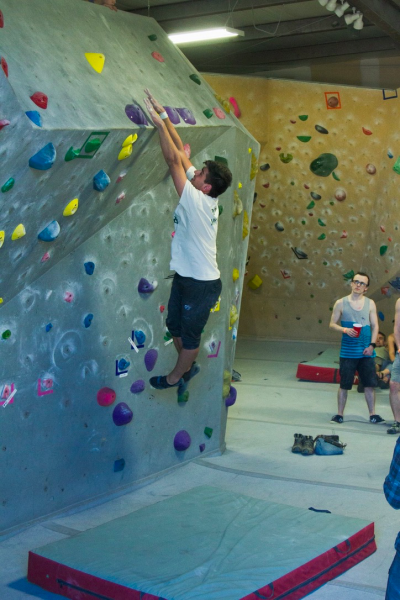 But the most amazing part about rock climbing is the community. 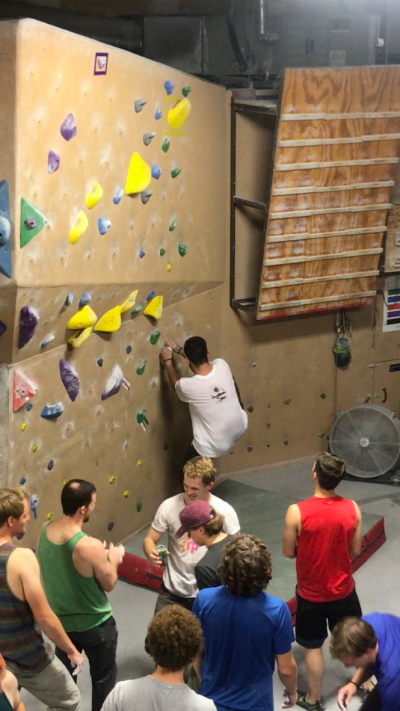 That first night that I ever tried rock climbing, I remember about five different people that encouraged me, told me how close I was to getting a certain move or how awesome it was that I had completed a problem. They didn’t care about how well I did; they were encouraging and super helpful. 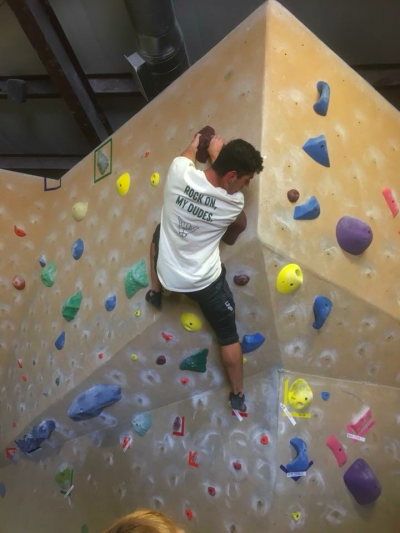 After that experience I began to go rock climbing pretty much every day Monday through Friday for a couple of hours. 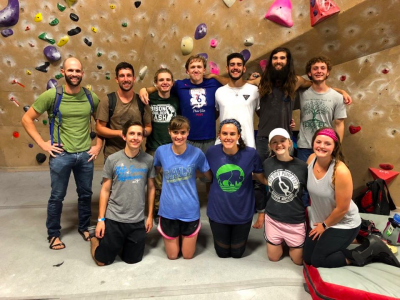 Shortly after, I joined our rock climbing club team at OBU and a whole new world was opened before my eyes. 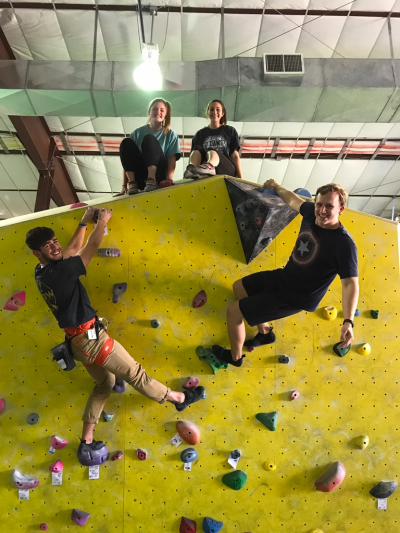 I began to learn more about rock climbing and made friendships that I will treasure forever. I also began to compete. I was scared to death to compete for the first time. 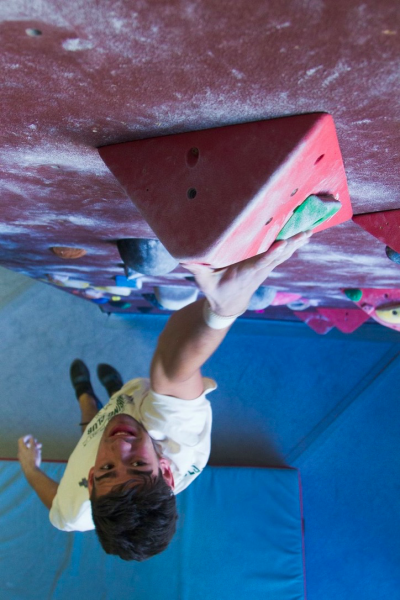 Surely this was going to be a lot more serious than just climbing at OBU with my hall-mates, but it wasn’t. 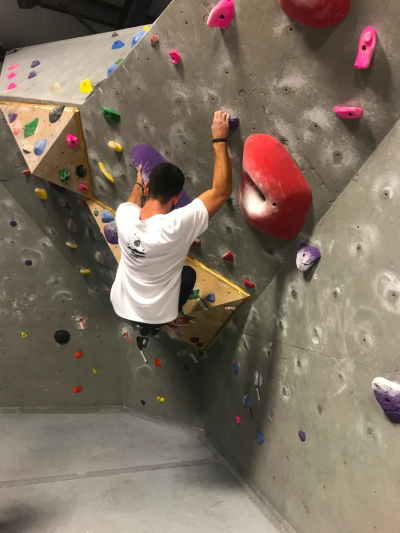 We were obviously at a bigger gym that was exclusively made for rock climbing, but the atmosphere and community hadn’t changed. 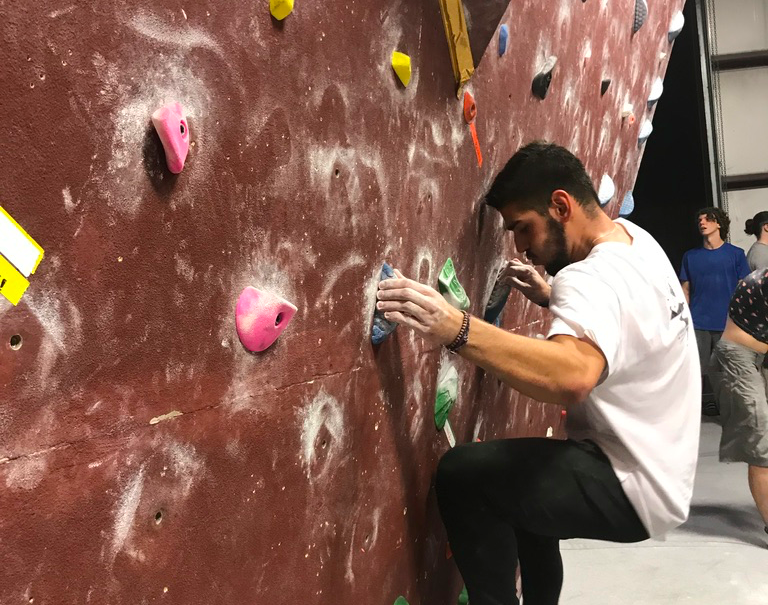 The positive energy that encouraged me so much the first night I tried rock climbing was even more present that day at my first competition. It didn’t matter if you were competing against someone, they were encouraging, everyone was cheering on everyone else. 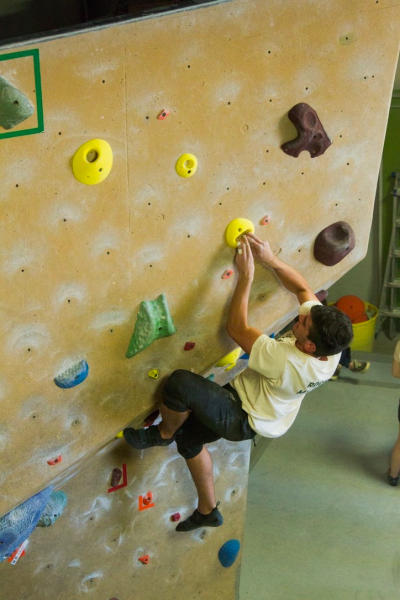 Since that day, I have been able to go to different climbing gyms in different parts of Oklahoma and other states. I have been to a couple of competitions and improved a lot, but the most amazing thing is that I have gotten my best friend and my girlfriend into it as well. 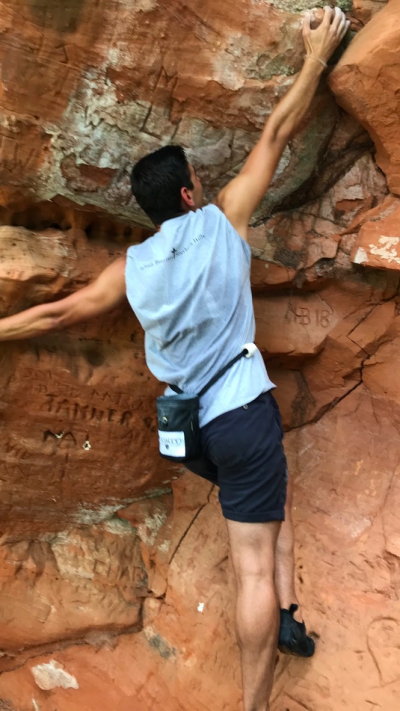 If you’ve never tried rock climbing before, I highly encourage you to do so. It might be intimidating at times, but just be encouraged by the fact that the people around you are wanting to encourage you and to help you get better. 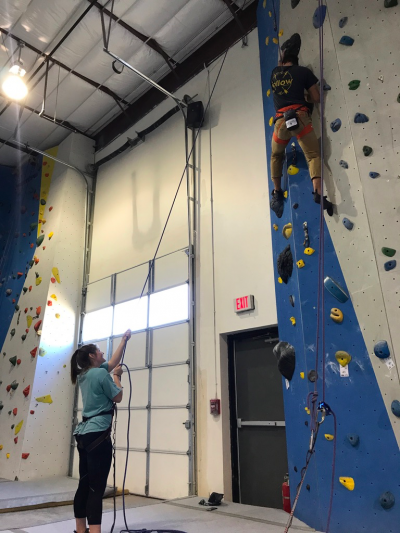 I haven’t ever won a rock climbing competition, but I will continue to climb and compete and hopefully begin to climb outdoors as well. 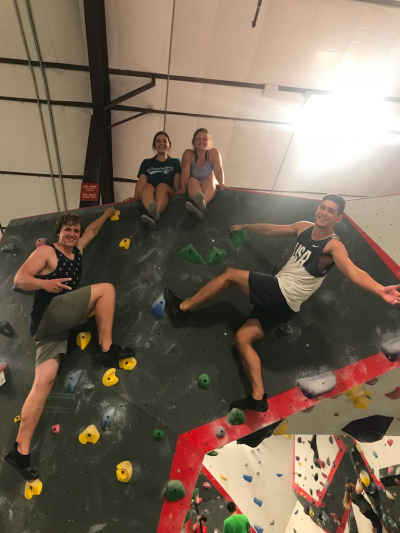 If you’re ever at OBU, I encourage you to swing by the rock wall and hang out with us!